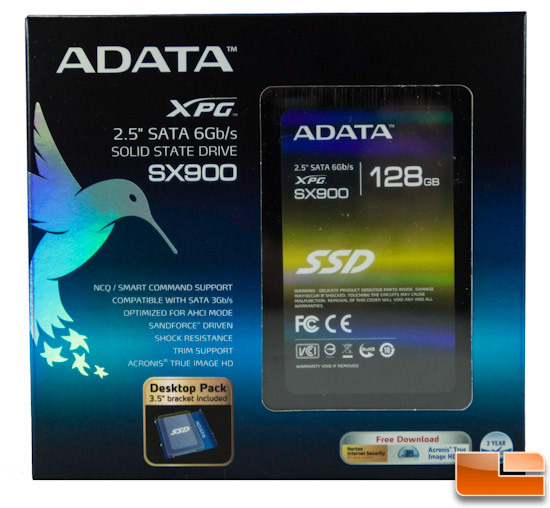 ADATA XPG SX900 128GB SSD Review - Legit ReviewsThe Most Powerful SSD On Earth? The Most Powerful SSD On Earth? 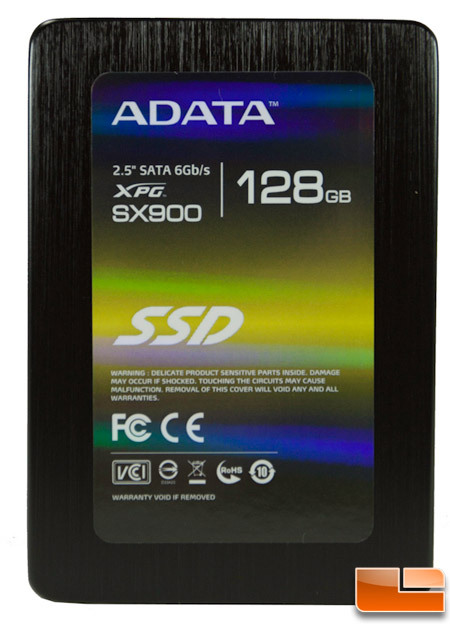 ADATA is long known for their memory and storage products and as such, are well known even outside of tech circles. They’ve stepped a bit on the ledge with the marketing of their SX900 series of drives with “the most powerful SSD on Earth” prominently displayed on the product page of their website. Being that this is yet another SandForce (LSI) SF-2281 drive with what appears to be relatively generic firmware, this appears to be more hype than substance. Still, we took it upon ourselves to give the 128GB version they sent us a good working over to see what all the fuss was about. To start off, ADATA rates the specifications of max read and writes to be 550MB/s and 520MB/s respectively which isn’t above and beyond a number of available drives on the market. 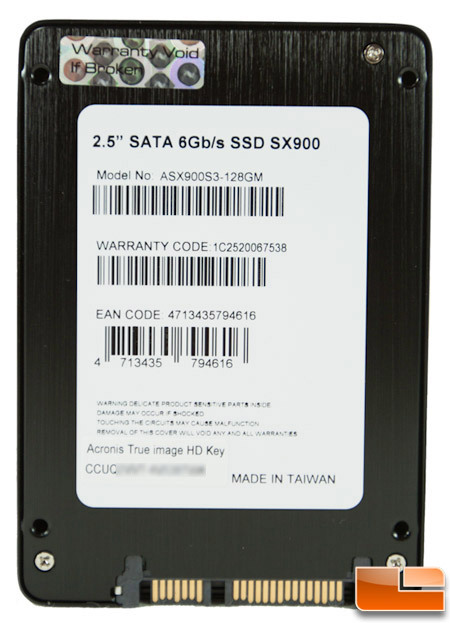 These numbers originate from scores on the ATTO benchmark which, if you follow SSD reviews at all, you know that it typically provides a look at the best case scenario performance. However, they are one of the few manufacturers to also provide specifications based on the AS-SSD benchmark which, at least for SandForce controllers, is a more moderated result due to the type of data used and as such the specifications reflect a bit differently with reads up to 486MB/s and writes up to 182MB/s. This is all in reference to the 128GB drive with the other capacities performing a little bit differently and are noted in the specifications. The SATA III MLC based drive are also covered by a three year warranty should they fail prior to the 1 million hour MTBF rating. Currently, the 128GB drive can be purchased online for $99. Included in the bundle is a free downloadable copy of Acronis True Image HD software. They product key is on the product sticker on the back of the drive which is a bit unusual. As first, we thought maybe a copy wasn’t provided with the review sample as the software overview sheet merely state that it’s enclosed within but when we did some checking on ADATA’s site, we saw that is should be on the drive itself. 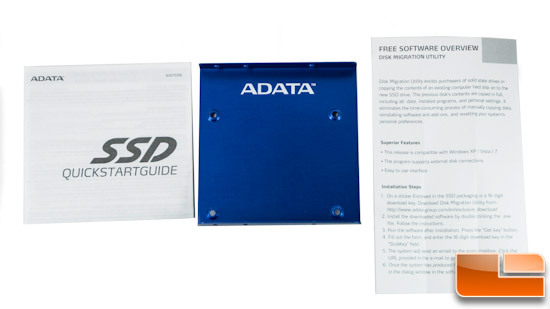 In addition to the drive, the box contains the aforementioned software overview sheet, a quick start guide and a 2.5″ to 3.5″ blue adapter plate with the ADATA brand prominently displayed. Let’s go inside!